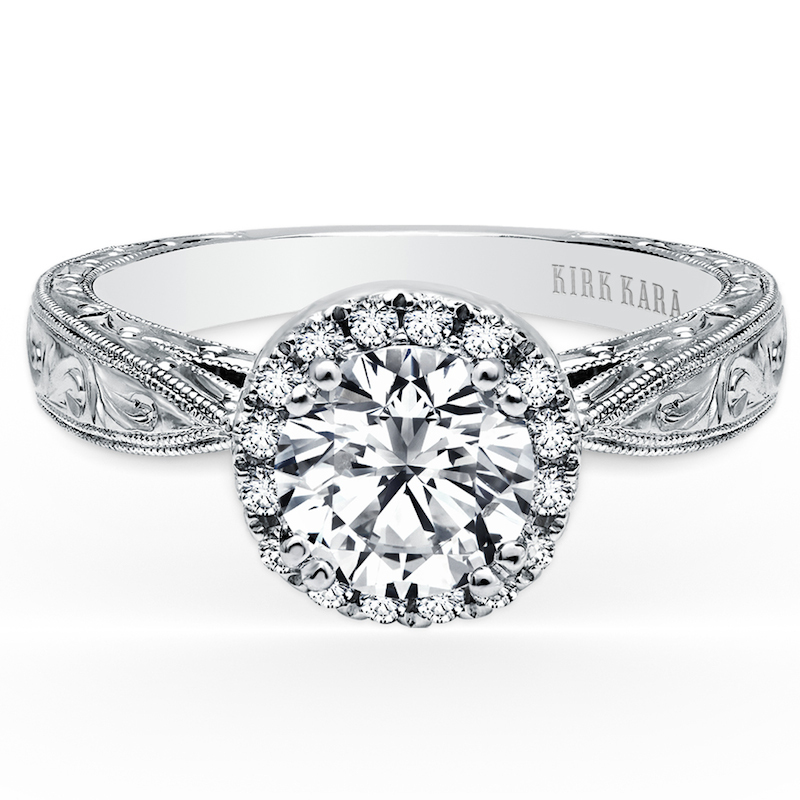 This timeless design is a classic solitaire and halo engagement ring. It features 1/6 ctw of diamonds. The gorgeous handcrafted details include scroll hand engravings, milgrain edging and filigree. The center 1 carat round stone (shown) is sold separately.